Sweden’s embrace of refugees isn’t working and the US should learn from their mistakes - I Think, Therefore I Rant! Excellent article for anyone that is interested in the challenges of integrating a disenfranchised people into a culture and economy that they are not familiar with and are not prepared for. The effects are palpable, starting with national security. An estimated 300 Swedish citizens with immigrant backgrounds have traveled to the Middle East to fight for Islamic State. 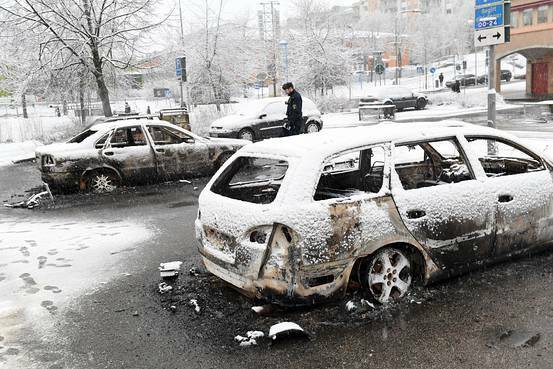 Many are now returning to Sweden and are being welcomed back with open arms by our socialist government. In December 2010 we had our first suicide attack on Swedish soil, when an Islamic terrorist tried to blow up hundreds of civilians in central Stockholm while they were shopping for Christmas presents. Thankfully the bomber killed only himself. Riots and social unrest have become a part of everyday life. Police officers, firefighters and ambulance personnel are regularly attacked. Serious riots in 2013, involving many suburbs with large immigrant populations, lasted for almost a week. Gang violence is booming. Despite very strict firearm laws, gun violence is five times as common in Sweden, in total, as in the capital cities of our three Nordic neighbors combined. Anti-Semitism has risen. Jews in Malmö are threatened, harassed and assaulted in the streets. Many have left the city, becoming internal refugees in their country of birth. For the sake of the American people, with whom we share so many strong historical and cultural ties, we can only hope that the leaders in Washington won’t make the same mistakes that our socialist and liberal politicians did.